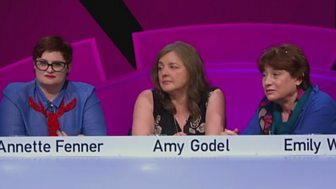 Victoria Coren Mitchell hosts the series where knowledge will only take you so far. 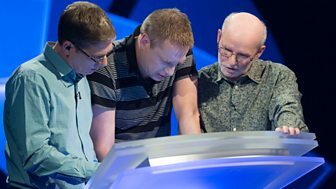 Patience and lateral thinking are also vital.\n\nTwo teams of round-three losers return for a last chance to make the semi-finals. They compete to find the connections between things which, at first glance, seem utterly random. So join Victoria Coren Mitchell to learn what connects 'Oh! Calcutta! ', Mayday, Love in tennis and Dandelion. 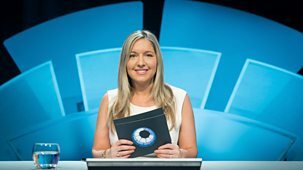 Victoria Coren Mitchell presents the quiz show about making connections. Three musicians take on a team of Doctor Who fans.